Welcome Spencer, I'm a reasonable newie too and aint that good with my FZ 20 yet but magnificently pleased with what it produces...just gotta get the guy behind it to get as smart. Weclome mate..glad to have u on board.. I think my FZ is more intelligent than me...! Thast a good pic.. I can never get that shot - only if i shoot the bird ! Nice shot, Deputy. Sounds like you and your Dad are going to have some fun together this spring and the rest of the year. We look forward to some morepics from East Carolina. My sister married a hick from Tarboro. That guy wont shut up. Fortunately his bs isalota fun. Welcome Spencer. Nice to have more representation from down south! 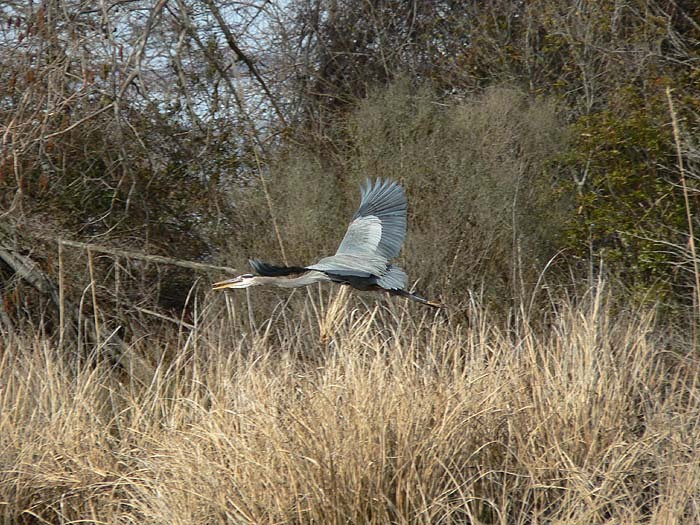 Welcome, and a great shot of the heron in flight. I would be careful of that 285HV.. Make sure the trigger voltage is low enough (newer should be okay) so it doesn't blow the FZ20 circuits.. I would think if you've been using it on the Nikon then it'll be fine with the panasonic..